News 5th Annual Beer, Bourbon & BBQ Festival! Eat and Drink Your Heart Out! For the 5th year in a row, Atlantic Station will host one of Atlanta’s new favorite festivals! Stroll from table to tent sampling over 100 bourbons and beers – your admission includes a souvenir glass and unlimited tastings. To accompany your drink of choice, some of the south’s most award-winning BBQ chefs will be smoking up whole hogs, ribs, brisket, chicken, sausage and sides. This meaty event will also feature seminars from master distillers and brew masters, and cooking demonstrations from some amazing pit masters. Burn off calories in the gaming area and enjoy live music from local rock and country acts. Vendors will be set up with barbecue accessories and accompaniments, then prepare to be entertained with competitions like the Bacon Eating Championship! 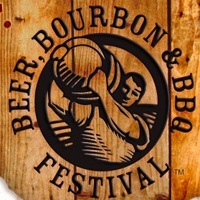 For more information and to reserve your tickets, check out the Beer, Bourbon & BBQ Festival here! To make this event even sweeter – a portion of all proceeds go to Spirit of Hope Children’s Foundation! There’s always something going on at Atlantic Station! Check out homes we have available nearby here, so you’ll always be close to the fun!